If you find errors, please feel free to contact one of the authors. Bause, Falko / Kritzinger, Pieter S.
Vieweg Verlag 2. Aufl. 2002. Stochastic Petri Nets are a modelling paradigm for the functional and performance analysis of systems. 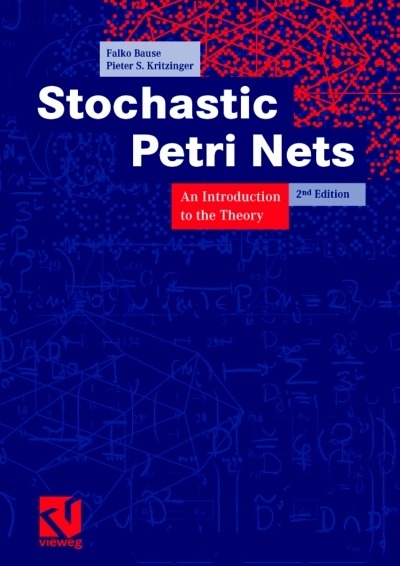 This book provides all information one needs to understand Stochastic Petri Nets, including a short refresher on probability theory, Markov processes and single queues. We explain Generalized Stochastic Petri Nets in detail and additionally show how queueing aspects can be integrated. This book explains the analysis of Stochastic Petri Nets stressing a combined functional and quantitative examination of systems.